We’re really pleased to announce the availability of NGINX Plus Release 3 (R3). 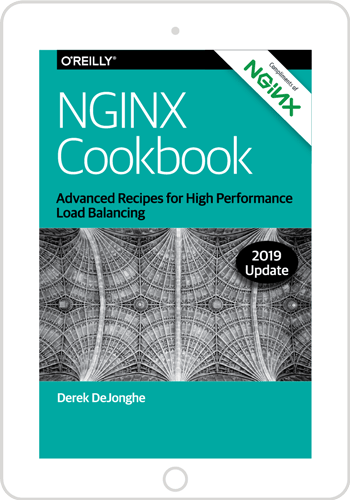 This release is the accumulation of bug fixes, updates, and new features from the open source NGINX codebase, and includes some great new features for NGINX Plus subscribers. NGINX Plus improves the reliability of your applications with better proxying of high volumes of traffic using upstream connection limiting. Many upstream servers have limited concurrency and can be overwhelmed if they are given too many connections to handle. NGINX Plus reduces the number of concurrent connections sent to upstream servers by buffering TCP data to accelerate the network and by terminating idle connections before they reach the upstream server. The new queue directive and max_conns parameter to the server directive give administrators more control by allowing them to define how excess transactions are queued and to set a hard limit on the number of concurrent connections made to each server, respectively. Queuing transactions in NGINX Plus allows the load‑balancing functions to schedule transactions more fairly. The net effect is that your end users receive consistent performance and your upstream servers are protected from concurrency overload, even in the face of huge traffic spikes. NGINX Plus supports DNS reconfiguration, enabling a faster, more agile infrastructure. NGINX Plus proxies traffic to groups of upstream servers, and these servers can be configured at startup using their DNS names. NGINX Plus R3 can be configured to periodically re‑resolve these DNS names, using the resolver directive and the resolve parameter on the server directive in an upstream group. Organizations that deploy applications in agile, rapidly changing environments such as those that use autoscaling and dynamic configuration can now use DNS to publish the identities of upstream servers. NGINX Plus rechecks the DNS service regularly and update its load‑balancing behavior accordingly. The net benefit is that DevOps staff can now use DNS to manage and reconfigure the servers in an upstream load‑balanced group, without needing to touch the NGINX Plus configuration. PROXY Protocol, first supported in NGINX 1.5.12, enables NGINX and NGINX Plus to manage WebSocket and SPDY traffic proxied by Amazon ELB. When proxies terminate and forward HTTP and SSL/TLS transactions, they typically insert additional headers (protocol, IP address, and port) so that the destination server can determine the true source of the connection. This is often necessary for access control and logging purposes. However, some proxies – Amazon Elastic Load Balancing (ELB) among them – cannot terminate complex protocols such as HTTP WebSocket or SPDY. In this case, the proxies are configured to proxy the TCP connection without inspecting and changing the payload. PROXY protocol defines a way that these proxies can prefix the payload with the connection data that they would normally insert into the transaction. NGINX Plus R3 adds support for terminating PROXY Protocol, so it can be deployed behind TCP‑mode proxies such as ELB. NGINX Plus can also proxy WebSocket connections and terminate SPDY protocols and determine the true source IP address of each transaction. The NGINX Plus binaries are fully tested and certified by NGINX, Inc. and supported by the NGINX engineering team. You can check out more details on the NGINX Plus Releases page.